It’s not enough, though, simply to remember. Remembering does no good unless accompanied also by a little reflection on exactly what we want to remember and why that’s a useful exercise. Only in that kind of reflection can we learn anything to carry forward. 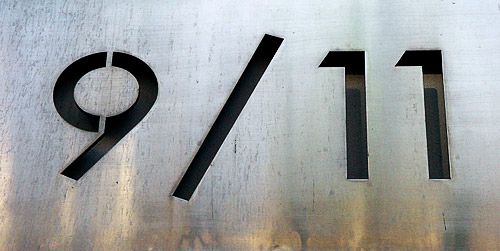 Today, I remember that several thousand innocent American lives were lost. Families were torn apart, and the potential for good that resided in the hearts and minds of those people were lost forever. That is an unspeakable tragedy, and while I didn’t know any of them personally, I remember that their lives were lost and I’m sad. And while I’m at it, I remember that the tragic and sickening loss of innocent lives continues daily in places around the world. The official count from the terrorist attacks on 9/11 was 2,996, and we still remember that loss of life with special commemorations even 13 years later. Meanwhile, according to Human Rights Watch, 2100 Palestinian civilians have been killed in Gaza this summer. In the five years of civil war in Syria, almost 57,000 civilians have lost their lives, almost 10,000 of them children. I wish we could harness some of the emotion loss of innocent American lives into at outrage at the daily loss of innocent life in other places in the world. It just makes me wonder how things might be different if we cared as much about them as we do about our own. I remember that 343 emergency personnel — firefighters, police officers, and emergency medical personnel — lost their lives doing their job on 9/11. That, too, was part of the unspeakable tragedy of that day. They were just doing their jobs. While they all knew they had dangerous jobs, I’m guessing that most of them had no idea that the buildings they rushed into would become their graves. So, today, I not only remember them, but remember those in my own community who work at those dangerous jobs protecting the rest of us from crime and fire and weather and who respond to our health crises and then rush us to the hospital, in many cases keeping us from crossing that narrow line between life and death. Today, I remember that since 9/11, our country has been embroiled in multiple wartime engagements in the middle east; we still have troops on the ground and men and women losing their lives in Afghanistan. And in the past few weeks, our engagement has been ramped up in Iraq. Today, I don’t intend today to debate whether that’s a good thing or not. But I do remember today that in addition to the 3000 killed on 9/11, to date over 6800 American soldiers have lost their lives in Iraq and Afghanistan. And the threat of terrorism is as great today as it has been, especially with the rapid growth and terror of ISIS in northeastern Iraq and western Syria. So, among all the things I remember today, I want to remember a future where we figure out a better way. And in the hope that such a vision be realized, I will both pray and work for peace. This entry was posted in Uncategorized on September 11, 2014 by Jim Honig.